These paper napkins feature bloody handprints and are perfect for Halloween. 2 ply. 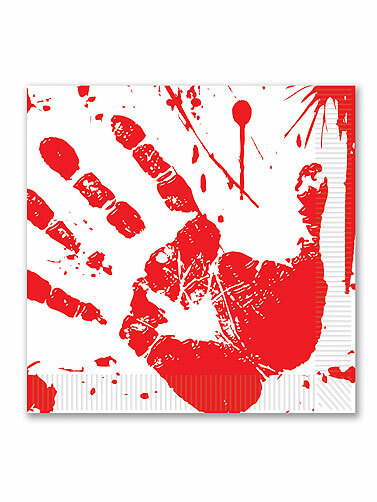 Coordinate with other Bloody Handprint items for a complete party theme. Bloody Handprint Luncheon Napkins measure 6.35"L x 6.5"W . 16 ct.